Really Jenny come on be reall with me where have the weeks gone how can we be on R allready? I am so back into my blogging again thank you so much for letting me give the prompt . R is for ROSES and RED and all REMARKABLE R things today! Enjoy! Please miss can I ask a question? Why does your cane always point to K ? 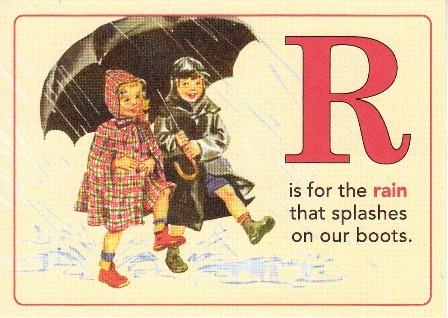 Well at least this letter of "R" fits into my vintage theme♥ thanks for the party! I'm here! And it's actually still Thursday!! The truth is that I have not put my works for sale. Maybe soon put through Virtual Gallerie. I've never sold a picture. Ugh--I hope this won't be an issue, but I can't "follow" you as Google won't let me sign out of my other account when I press the "follow" button. I'm putting your blog in the sidebar of blogs we follow on Poetry in the Netherworld. And I'm following all the other rules to the *ahem* LETTER. Bring on the deviled eggs, please! "Oh my gosh! This is exciting news!"